This is the second part of a blog post, see part 1 here. 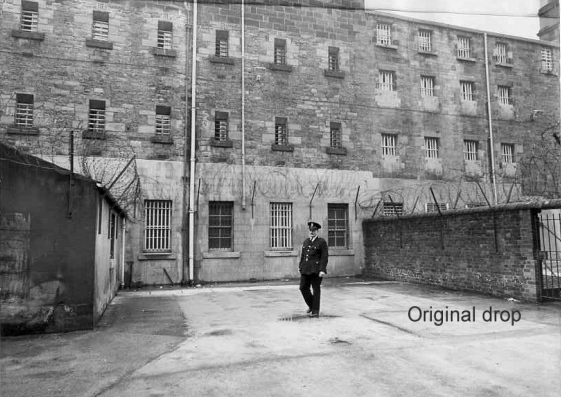 suffered imprisonment for his Fenian proclivities and sympathies. Pinioning was a practice undertaken by the executioner, whereby the convicts hands and ankles were strapped. This procedure often took place in a separate room of the prison to the execution chamber. The decision to restrict access to the pinioning room, was to become the rule not the exception in later executions. A report on the execution of Mary Ann Cotton in 1873 gives us an insight into why this may have been. (of the pinioning room) it should not be forgotten that this is the very time when a resolute culprit, faced by the immediate preliminaries of death, will almost involuntarily yield to the dreadful feelings of the moment, and being at last convinced of the certain approach of death, will make a confession. Now, should this ever occur, how can the public, deprived of their representation by the exclusion of the press, be assured of the accuracy of any report? As if to exacerbate the horror of the spectacle, McConville’s body, owing to the shortness of the drop provided by the executioner, had swung round violently to face the officials. 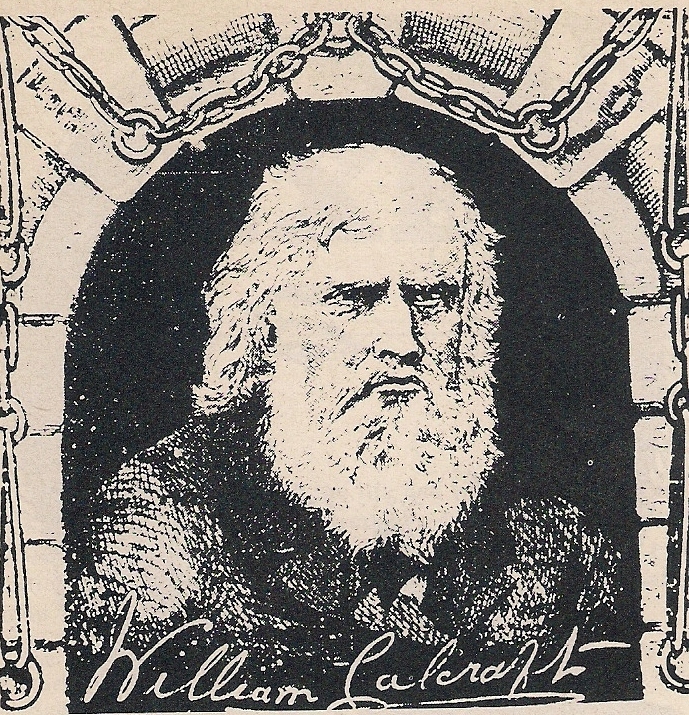 The executioner was William Calcraft, a man approaching his seventies and described in various reports by his characteristic white flowing beard. Askern had, it seems, been applied to, but he refused the engagement, in consequence, it is said, of some intimidation arising out of the last execution at Durham, on which occasion the rope broke. Calcraft’s successor William Marwood, who was to invent the “long drop” system whereby the condemned would fall at least 5 or 6ft, as opposed to Calcraft’s 1-2ft, but he too fell foul at Durham. His final execution was that of James Burton in 1883 at Durham, which was so badly botched that it became the subject of questions to the Home Secretary at the House of Commons. So, despite their best attempts to control the first private execution, the executioners bungling had put paid to any sense that private executions would be a silent and seamless enactment of death. As before in the era of public executions, it appears that executioners were prone to the same errors and thus the intended spectacle of justice was undermined by a focus on the ineptitude of its protagonists. The next execution in the region was to cause a new issue for the authorities, one which was to lay the groundwork for the complete removal of the press from the execution spectacle. Of which, more next week. I’m not one for reality TV, but one show that has been the perfect break from study is Channel 4’s First Dates. There’s something deeply satisfying about watching other peoples squirming awkwardness, must be schadenfreude or just the great relief that I no longer have to suffer the hideous, creeping fear of a first date (or at least I hope not). Anyway, this week there was a girl from Newcastle on and even more excitingly she was a friend of my girlfriends. Unlike most people on TV she came across as a very lovely, funny and just all round nice person, which is pretty hard to achieve on TV. As a result she’s now all over the internet, she’s even made that bastion of overnight celebrity sensations, Buzzfeed. Good on you Geordie Jodie. Joni has featured in this section before, but my girlfriend wrote a great blog about her love for Joni, following the news that she’s been taken ill and so I thought it was a pertinent time to feature her again. There’s too many songs to choose from, but sitting in my study at home looking at the beautiful weather outside that I cannot enjoy, I’ll go with California and just imagine i’m in the sun.